Empathy, courage and the tenacity to advance Māori health and well-being are at the heart of this Māori leader. While working within academia, Dr Cherryl Waerea-i-te-rangi Smith imagined a kaupapa Māori research institute with the capacity to embrace Māori approaches while addressing Māori and community issues. 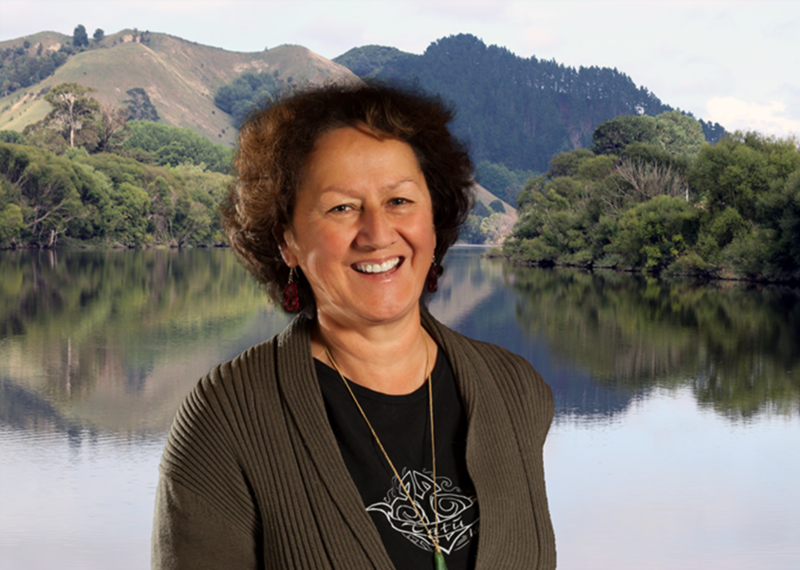 Her vision became a reality in 2005, when Cherryl founded and directed the first community-based, independent research institute in Aotearoa, Te Atawhai o Te Ao, focusing on environment and health research. Te Atawhai o Te Ao has a growing national and international reputation for leading kaupapa Māori research, particularly in the promotion of Māori generational well-being, and trauma informed care, as an outcome from the groundbreaking intergenerational trauma and healing programme of research. With over 25 years experience, Cherryl’s research interests have resolutely included studies that are centred within Māori communities. These include Māori resilience, development, involuntary toxin exposure, biotechnologies, grandparents raising mokopuna, as well as healing from sexual violence, disconnection from whenua, and incarceration. Cherryl’s commitment to Māori advancement is also reflected by her desire to ensure that the Institute continues to service Māori community research needs now, and into the future. She has recently changed roles from Co-Director to Senior Research Fellow at Te Atawhai o Te Ao, thus enabling a new generation to lead her vision. Amid Cherryl’s commitment to Māori health and well-being, she is raising her eldest mokopuna and is dedicated to her whānau, marae, hapū, iwi and community. Her involvement includes contributing to the Women’s Refuge, Māori Women’s Welfare League, Te Kaunihera Kaumātua o Whanganui, Kauangaroa Marae health promotions group, as well as research, ethics and assessment committees. Cherryl is an astute leader, who exemplifies humility by giving selflessly, providing wise mentorship, and encouraging others to do their best. Finally, she is viewed as a scholarly rock star amongst emerging researchers, forging a scholarly space in the early 1990s, which validated kaupapa Māori research for Māori researchers and communities. It has been an honour to share the sweetness of this kūmara, so that together, we may celebrate Dr Cherryl Waerea-i-te-rangi Smith’s leadership, passion and commitment to enhancing Māori health and well-being, and achieving Māori aspirations.